Multisite Church Feeling MultiStuck? These 5 Steps Will Help. Any area of unclarity is exposed as new campuses try to replicate what existed in the original location. Leadership issues are unveiled as distance and additional teams stretch everyone’s capacity. Volunteer teams are depleted as they send people to new communities. You led your church to launch new campuses for a reason. I imagine you wanted to lead more people to Jesus as quickly and effectively as possible. When being multisite becomes hard, it can feel to some like the problem. Take time to remind yourself and your team why you exist as one church in multiple locations. Your multisite endeavor may not be perfect but it does have a purpose. Multisite means many things to many people. I’ve seen churches everywhere on the spectrum from carbon-copy locations to church planting networks. If your team isn’t clear on the strategy you’re employing, they’ll never be able to execute it in unity. Leaders with great hearts will move forward in different directions. Campus pastors will adopt diverging approaches that disrupt any hope for synergy. It’s essential that everyone understands what you mean when you talk about being multisite. At one location, decision-making was easy. Every ministry had a single owner who all reported up to a single leader. Now with campus teams, central teams, and a matrix structure in place, many people have multiple leaders and serve on multiple teams. It’s no surprise if you feel like you have more meetings than ever while accomplishing less than ever! Your team needs a new level of clarity about how decisions get made. Take a fresh look at your campus constants and central/campus decision rights. These insights from Amy Anderson will help. Every multisite church began as a growing single-site church. Because of this, their discipleship paths are typically complex and over-programmed. This forces the original site to focus its energy and resources on maintaining many programs rather than investing in new locations. If you want to set your campuses up for success, you’re going to have to equip them with a simplified discipleship path. This will require sacrifice on the part of your original location. (But I actually believe it will prune it for even greater growth.) Guide your team through the seven differences Tony details between programs and discipleship paths. If you sense your multisite church has become multi-stuck, the best thing you can do is to take a big step back. Rather than spending time planning your next campus launch, invest yourself in developing a clear strategy you can build on for many years (and campuses) to come. 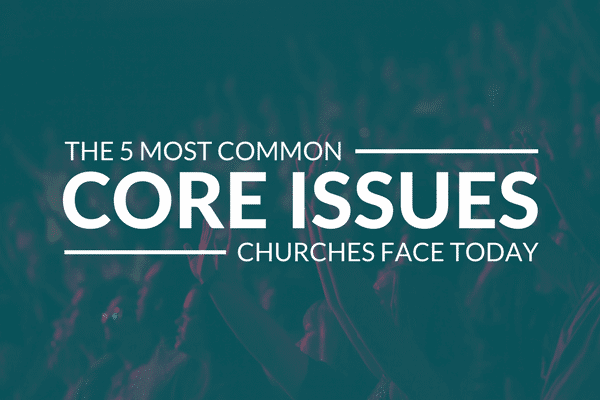 See the real core issues holding you back through outside perspective on your church. Build the multisite strategy you need for growth at current and future campuses. Solve your people problems with a staff structure that sets you up to be twice your size. Overcome unforeseen obstacles with coaching through your next campus launch. We developed this process because we want to see you leading more people in more places into a relationship with Jesus Christ. And we’re seeing it create momentum with multisite teams across the country. If you’re feeling multi-stuck, we’d love to serve your church as well. In the meantime, put these 5 steps into action to become one unstuck church in multiple locations.